At Gulf Coast Wealth Advisors, we listen closely to the visions and desires for your financial future. This enables us to design and create a personalized wealth management portfolio, choosing sophisticated investments that we believe have the greatest potential to address your objectives. Our Private Wealth Management services are tailored in that each portfolio is designed individually focusing on your goals. Investing does involve risk; whether it is managing market volatility, inflation, tax risk or rising interest rates. These risks must be managed and how you manage these risks requires a plan and effective strategy that is unique to YOU! 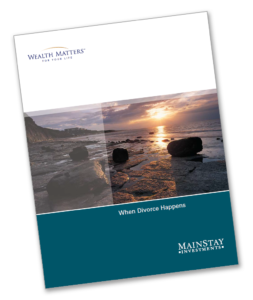 Gulf Coast Wealth Advisors, working hand in hand with our independent broker-dealer, LPL Financial, follows a five-step wealth management process that is striving to identify, assess, and reduce risk. This process, designed by LPL Financial and titled Private Client Services, helps our clients build and implement the plans needed to help manage the outcomes they desire. The process begins with a series of discovery conversations, whereby we assist clients in identifying and prioritizing goals. We analyze and evaluate assets, prioritize the issues with each goal, activate and implement the agreed-upon recommendations, and continually monitor and adjust the client’s progress in meeting those goals.